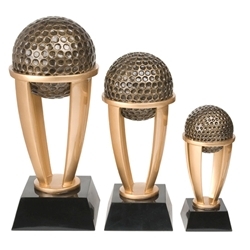 Golf Tower Trophies are available in 3 sizes from 7.5" to 13" tall. These golf trophies are great for Tournament Awards. Item Size 7.5", 10.75", or 13"